Just a few miles down the road (across the river and through the woods) from the winery is the birthplace of the Concord grape, first grown by Ephraim Wales Bull (E.B.) in1849. E.B. sought to develop the best grape capable of growing in his native New England climate and stumbled across the varietal he called “Concord” (after his home town) after thousands of trials. Long loved for jam, pies, and summer snacking, the lowly Concord grape is often neglected within the wine industry. To honor our ancestral viticulurist neighbor, we lightly press Concord grapes and blend with Cayuga White to produce a delightfully pink and sweet rosé wine full of grape jam aromas. 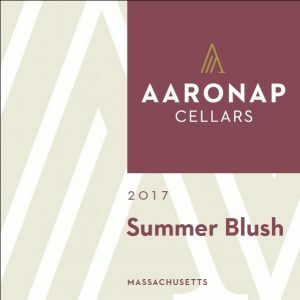 The eye is graced with a light salmon color, while aromas of honeysuckle, fresh grapes, rhubarb, strawberry, and white flowers grace the nose. Round mouthfeel and sweet, soft finish. Pair with strawberries, watermelon, soft brie or chevre cheese and crackers, or just a warm summer day on the back patio or beach.